LAS VEGAS – BMW plans to offer an augmented reality app that will allow customers to use their smart phones as virtual showrooms. The app will let buyers create a realistic 3-D image of a car they might want to buy in a showroom, then download it on their phones to browse later. The app is based on Tango, Google’s smart phone augmented reality technology and will be piloted by BMW’s i subbrand to help boost sales of the i8 plug-in hybrid sports car and i3 full-electric hatchback. BMW plans to make the Augmented Reality Visualiser App available for all its cars in a couple of years. 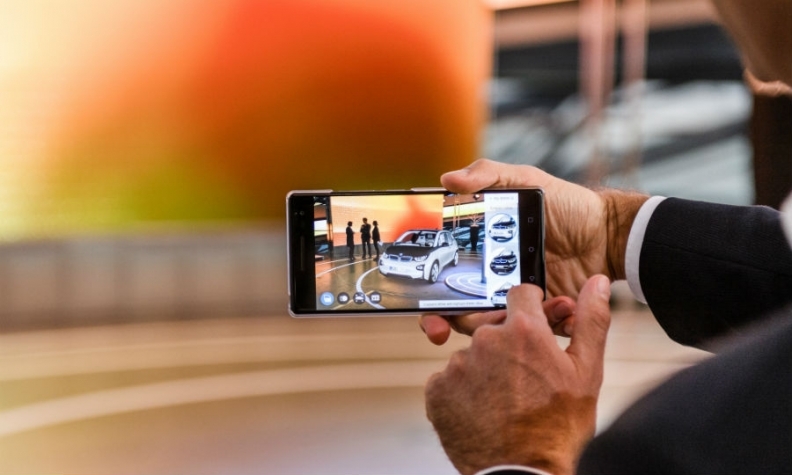 The app will be used initially in selected sales outlets, where BMW’s “Product Genius” sales assistants will be provided with a Tango-enabled consumer mobile device to help customers to create a 3-D image which can be explored interactively. Once the visualization is complete, the customer can save the data and share it with others, including BMW i sales outlets, via social media, email or QR code. Customers can open the car’s trunk or doors or virtually get into the car and press switches. They can change features such as interior and exterior colors or wheel rims. BMW models appeal to people's emotions so customers need to get an emotional feeling to properly experience them, BMW head of sales strategy and future retail, Andrea Castronovo, said in a statement. “In situations where the desired product isn’t available on the spot, this visualization is the next best thing,” he said. The app, which was designed and developed by Accenture, is a visualizer instead of a full configurator to keep the user-experience as intuitive and simple as possible. Once the pilot is successfully completed, BMW plans to offer the app on the Google Play app store so that customers with Tango-enabled devices can download it. BMW said it believes that the majority of premium Android devices will be Tango-enabled over the next couple of years.